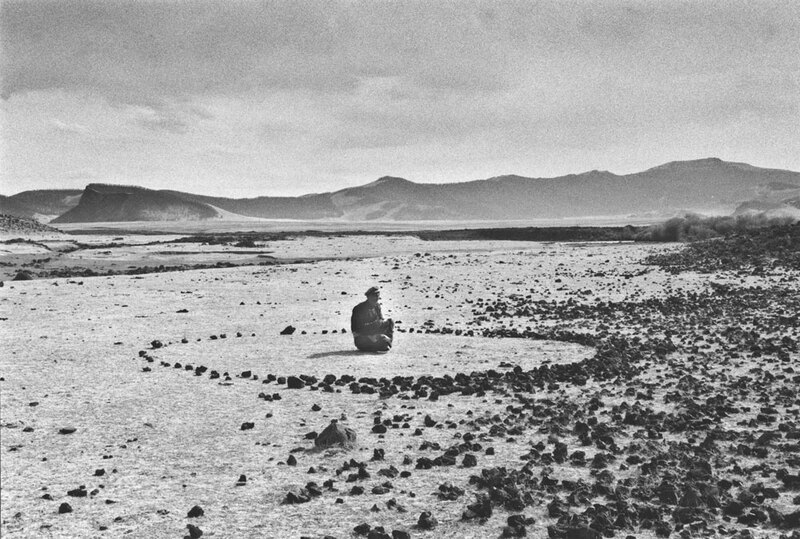 Journey Within Practice – Richard Long and Chris Marker. 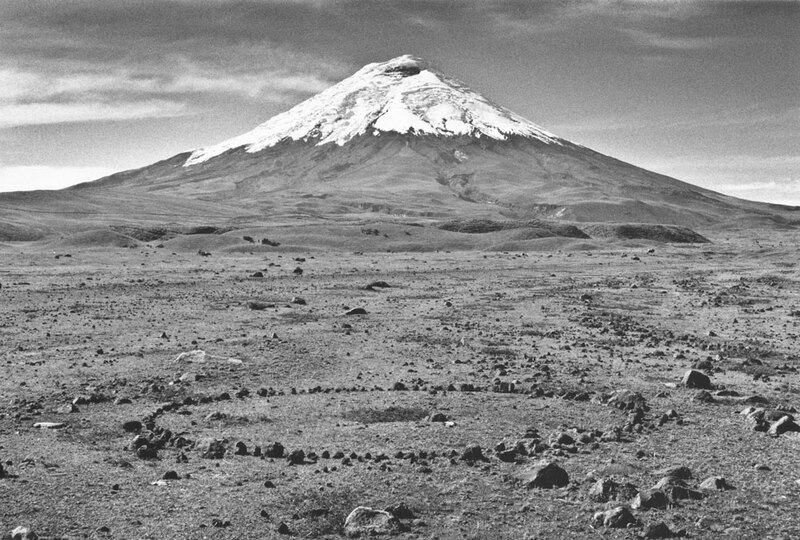 The work of Richard Long is so indebted to the act of walking into a landscape that it seems a rather obvious aspect to point out. While many of his transient works, especially of the sculptural variety left in various wildernesses, required the act of the artist to walk, it is often the photographic capture of the finished event in question that, in the majority, make up the performed aspect of Long’s output and its varied exhibiting. 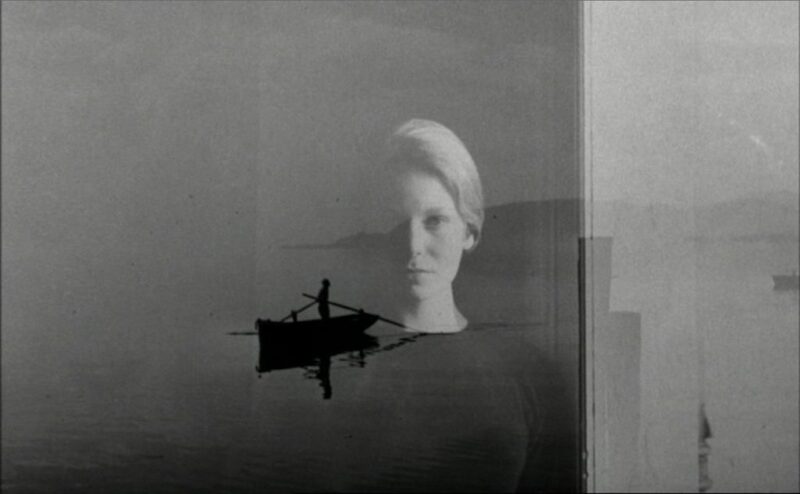 With this aspect of capture in mind, one that in all truthfulness can only capture a micro-essence of Long’s work (and their subsequent journeys as a whole), the work of the filmmaker Chris Marker surprisingly springs to mind; though being very much polar in his capture of people, the two artists’ practices share some unusual resemblances in spite of this contradiction. This context is worth setting down before any further points are made as, even though it is clear that walking is a vital strand to Marker’s filmmaking, the fruits of his labours are somewhat different to Long’s. Long’s work is often isolated, revelling in the solitude that walking alone into vast and often rarely explored places can provide. He is on record for saying that such isolation is vital to his practice and this perhaps explains why Marker’s films are so radically different in tone to Long’s work. Marker is a capturer of moments but ones which have people at their core. Whereas Long’s work hints at the presence of an unseen figure (the moving of rocks and created pathways being the very trace of his own, mythical sense of self-portrait), Marker’s journeys are full to the brim with people, even sometimes filling the screen with (now famous) close-ups of unknown faces; the humanity now a landscape in itself. This is the difference of context, perhaps in the sense of a Deleuzian vector where movement within the image (literally in film, implied in photography) creates a layered immanence that really channels the success of the work rather than some transcendental attestation. Yet there is much in both artists’ practice that seems connected; that the practice of travel, walking through the geography, and the feeling of place still feeds into the collective works to convey this sense of humanity (even if, in Marker’s case, he has the added bonus of the aural realm to very earnestly relate this to the viewer through the context of a voice-over). “Walking, he said to me, with its hardships and its pleasures, the surprise of discovery and growing experience, relaxation and concentration: walking is a good way to think. Steady rhythms . Your feet can take you anywhere in the world, except where there is no water or the water is too deep. When machines break down there are always your feet. A lot of ideas come while walking, or when sitting down to rest. The landscape puts them into your head.” (1986, p.43). There’s a lot to unpack in this statement of which quite a few elements can be readily applied to Marker’s filmmaking oeuvre as well. Often, Marker’s “essay films” have that captured duality within its nature. For example, Sans Soleil (1983) is easily described as showcasing both “hardships and its pleasures” within the many images captured by Marker’s camera which include the various landscapes and its peoples (from Tokyo to Iceland): the sense that these journeys very much put the ideas and connections into Marker’s head is earnestly expressed in his editing style. Sans Soleil (as well as Letter To Siberia, The Case Of The Grinning Cat and many others) rely on the building of unusual connections; where phenomenology builds links between people, places and politics to address the systems that are being traversed by Marker and his (still small) filming crew. Long’s work also considers the role of memory in geographical terms where many of his photographic captures relay the memory of the walk and of the journey to the viewer. It could be stretched even further if Long’s own perspective of the work was to be considered as well. Perhaps the documented capture, the fragmented evidence of extremely long journeys, reveals whole geographies in the mind of Long; where the walks become a game of association between the various sculptural acts committed along the way within the place, the landscape and the solitude that occurred. Whilst Marker rarely capture any of these aspects in the aesthetic sense, his essay films can be read as a sprawling human map of his own walking and journeying around the world; the memory may be more obviously human, more occupied with the frailty of humanity against transitional odds, but the connection between the work and its practical evolution is far more palpable than the end results both artists’ practices initially reveal.